We recently featured the national junior team from a country where many would think hockey doesn’t even exist, only to follow up with a post on another nation that seems even less likely to support hockey. 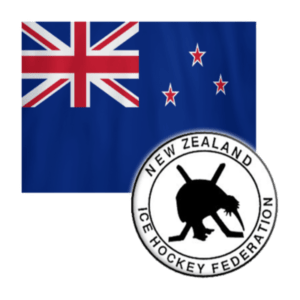 Yet New Zealand has had a national U20 junior team competing in the International Ice Hockey Federation’s world championship play since 2004, and has twice been promoted to the next level. Few New Zealand players have made it to the U.S. and Canada to play junior hockey, though. The short list of current players in North America includes 1998 forward Alex Egan, and defensemen John Lilly (2000) and George Hopkins (1998), all of whom are playing this season for the Bradford Bulls of the Greater Metropolitan Hockey League; and Max Hurring, a 2001 defensmen with the St. George Ravens of the GMHL. Every player from last year’s IIHF U20 World Junior Championship team is eligible to return for this year’s tournament in Reykjavik, Iceland, in January, including top scorers Luke Hill, a 1999 center and team MVP who scored three goals and recorded two assists in five games, and 2001 forward Ryan Martinoli, who had a pair of goals and three assists in five games (and has already put up strong numbers — three goals, two assists — in five Swiss Elite Junior B games this season). Egan finished the tournament with a pair of goals in five games while forward Felipe Aguirre, a 1998, had a goal and assist in five games. The defenseman with the best numbers was 1998-born William Morley-Hall. In five contests, he had one assist and was a only a minus-1 on a team that had several players whose plus-minus stats were in negative double figures. New Zealand finished last out of six teams last year, putting up no wins and losing all five games in regulation. It was outscored 40-11, so goalies, defensemen, and forwards are all going to have to be more committed to playing defense in the upcoming tournament. Both the penalty kill and the power play, each of which was at the bottom in last year’s tournament, will also need tremendous improvement. The good news, though, is last year’s team was rather young, with one 2002 (goalie Finley Forbes); three 2001s (Hurring, Martinoli, and forward Max Vesper); one 2000 (forward Matheson Graham); and seven 1999s (Hill, forwards Liam Kinraid, Mak Rawiri, and Zac Vince, defensemen Ryan Fraser and Moses Bygate-Smith, and goalie Taylor Goodall). If most of that team returns for the 2019 tournament (the roster won’t be announced for probably a month), another year of experience should allow them to be more competitive under head coach Justin Daigle.